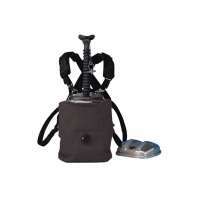 If you are looking for reliable high quality breathing equipment, you have come to the right place! 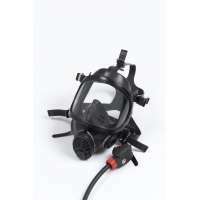 Here at Resmar, we have a great range of breathing apparatus to choose from, for all types of environments and applications. Breathing Apparatus There are 47 products. Here at Resmar we have a comprehensive range of SCBA or self- contained breathing apparatus units (as used by fire fighters, rescue workers, the Royal Navy etc.) If you have to work in a hazardous environment such as confined space, a plant shutdown, fire fighting in an industrial or marine setting, you need safety equipment you can rely on 100%. 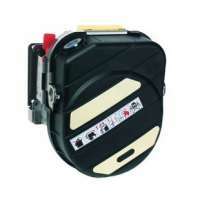 Here at Resmar we stock the safety equipment of a standard that our customers and clients have come to demand. We know that in life threatening situations having the appropriate safety equipment on hand is crucial. We understand how selecting the right type and model of SCBA can be complicated and demanding in terms of time and resources. To help you make the best decision possible we have a dedicated team of expert and qualified advisors as well as world class training workshops. We are proud to be certified distributors of the Draeger line of self contained breathing apparatus units, which are well known for their reliability and construction quality, ease of use and value for money. These safety units are used to provide a constant regulated supply of breathable air in hazardous environments where safety and durability are paramount often in environments of extreme danger to life or health. Self- contained refers to the primary distinguishing feature of these safety units: instead of supplying pure breathing air to the wearer by means of a long tube or pipe, these units have the air cylinder integrated along with the mask or mouthpiece and regulator, all mounted on a sturdy frame for ease of use and portability. We stock all of the most commonly used and reliable SCBA units, we can also ensure that your units are regularly inspected and serviced by our team of qualified experts. Comprehensive training seminars are available in the use of all of our SCBA units. We have a range of different units to choose form, from the Drager and Scott Safety range as well as Honeywell, MSA and Sabre; depending on the weight, duration of air needed, the application, we have the ideal emergency escape breathing apparatus for you and your team. We have cylinder based air supply systems and KO2 based breathing systems, all with different advantages and features to offer. One thing they all have in common is extremely high manufacturing quality. They have all been designed to give the wearer what they need in a hazardous working environment; breathable air on demand from system that is lightweight, easy to carry and, above all else, reliable. In many industrial work environments there is the constant threat of sudden release of toxic chemicals into the air. It is vital that personnel working in such areas have access to reliable and personal escape breathing equipment at all times. When emergencies occur, often the only way to survive or be able to rescue endangered people is with the use of portable clean breathing air. We supply the best quality durable and reliable personal escape equipment (as governed by EN 529 standard). These emergency escape breathing apparatus units are designed to be quick to don and doff, automatic in operation, feeding the wearer a constant supply of compressed air. Typically for 10 – 15 minutes, easy to train workers in their use and fast to refill. They have excellent flow and will supply a consistent rate of life saving air to the user until the tank is completely empty. A new feature is the ability to be reset in the case of a false alarm, eliminating the need for them to be refilled. 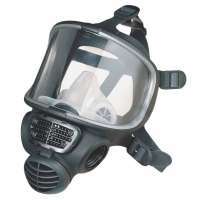 When you are working in hazardous or contaminated environments that contain either toxic chemicals, smoke, particles or just an environment where the air is unbreathable you need a mask that you can rely on to keep you safe, able to breathe and that allows the best possible forward and peripheral vision. 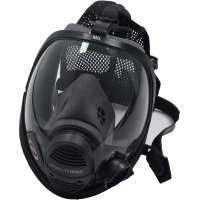 We have 5 state of the art face masks to choose from, made by Drager and Scott safety. In the Drager range, we have the Drager Panorama Nova P, the FPS 7000 and from Scott Safety we have the Vision 3, Panaseal and the Promask, in a range of sizes to fit any wearer. 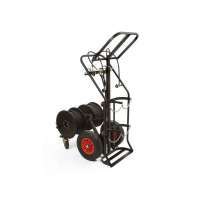 They all are manufactured to extremely high standards and designed for comfort and reliability. 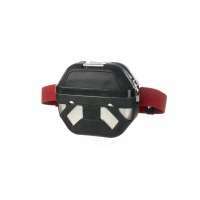 These safety masks are all designed to be worn for extended periods of time and to be airtight and easy to put on. They are all ergonomically designed so they can be worn with spectacles or by a person with facial hair or an irregularly shaped head or face without compromising safety or comfort for the user. Whatever specialized features you might be looking for; positive pressure, low pressure, negative pressure, powder respirator, firemans helmet compatibility, wide angle visor, communications systems compatibility, or built- in voice amplification and speakers, wireless radio integration, and a wide range of application specific construction materials such as Kevlar, APTM, silicone & Neoprene. These safety masks all have a dedicated manufacturerÕs air cylinder connector and are designed to provide the wearer with the ultimate in comfort, air tightness and reliability, whatever the working environment, we have the perfect safety mask for you and your team. 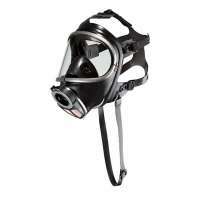 All of these masks comply with and often exceed modern safety and industrial regulations and standards. Here at Resmar we have a comprehensive range of compressed air cylinders for use in hazardous environments as used in the fire service, Navy, chemical and engineering and marine industries. These cylinders are the result of many years of research and testing, giving you the user the ultimate in high quality carrying systems, as well as pneumatics and reliable performance. We stock compressed air cylinders made by Drager and Scott, two names that are synonymous with safety equipment and used wordwide by professionals. We have a range of air cylinders in conventional high tensile steel as well as the newer carbon composite fibre units. All of our air cylinders are compliant with UK TUV certification along with our cylinder valves, which are all EN144 compliant. They are exceptionally easy to use, lightweight in construction and highly resistant to shock, abrasion and chemicals. 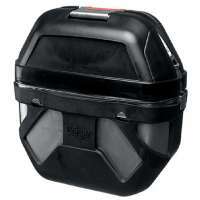 They have been built to give a high standard of performance and reliability in hazardous environments. All of our air cylinders not only comply with but also in many cases exceed modern safety regulations and directives. We stock a full range of both Mono and Duo universal valves, for twin cylinder setups. In steel we have 6 litre, 7 litre and 9 litre capacity at 200 bar and in Carbon Composite we have 6.8 (300 bar) and 9 litre (200/300 bar). All our cylinders are seamless with metric thread manufactured from the highest quality materials and finished with the most durable coatings. In any hazardous work environment, where the air is contaminated you need a steady reliable source of clean air to breathe. In situations like gas leaks and chemical spills, workers need to concentrate on the task at hand and not have to worry about something as essential as breathing. Here at Resmar our range of Draeger airlines are primarily chosen chosen for their reliability, ease of use and ergonomic design. Draeger are well known for producing incredibly well thought out and superbly constructed breathing apparatus for professionals. This is a company that has an impeccable worldwide reputation spanning over 100 countries, who listen to the needs of their customers and continually strive for excellence in the field of emergency safety equipment and the range of airlines we offer are simply the best in the field as well as being extremely economical. We are proud to offer the Draeger PAS Airpacks 1 & 2, the PAS Colt and the PAS Micro professional airline systems, purpose designed for professionals. 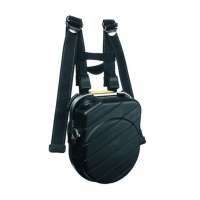 These airline systems are exceptionally flexible, interchangeable as well as lightweight and easy to use. The Draeger PAS range is suitable for use under protective coveralls such as the Draeger SPC 3800 and Protec Plus (which offer excellent protection against dust, micro particles and alkalis) and their extensive range of chemical protection suits. All of these products integrate seamlessly together to keep the user protected from chemical contamination. Fully configurable for different breathing systems as well as protective suits the Draeger range of professional airline systems are the choice of professionals around the world for quality and reliability under the most hazardous conditions. The Draeger PAS Colt and PAS Micro units are ideally suited to short duration work as they are small, lightweight, comfortable and easy to use. EN137 compliant, these airline units are all highly heat resistant and impervious to many acids and alkalis. They are also EN402 compliant to modern emergency escape standards. For longer duration heavy duty use, the Draeger PAS Airpack 1 and 2 units are the ideal solutions. We stock an exceptional range of Draeger Rebreather masks, many of which are made to the same standards as those demanded by The Royal Navy and US Navy seals. Compact in size, ergonomic and state of the art in design and operation, these units are totally reliable and in accordance with UK and US military and government standards. Designed to recycle a substantial amount of the wearer’s exhaled air that would normally be released into the atmosphere by mixing it with fresh oxygen, thereby extending operating time or reducing the size and weight of the cylinder. Rebreather units are needed in a number of hostile environments such as underwater, in space, in high altitudes such as mountaineering as well as fire fighting. Rebreather systems are also used in hospitals for administering anaesthetic gas and air mixtures to patients undergoing surgery as well as in mining rescue and in hostile chemical or industrial situations. These units are both simple to use and utterly reliable and robust in construction, allowing the user to concentrate on the job in hand without having to worry about their safety or breathing equipment, even in the most dangerous and life threatening environments. 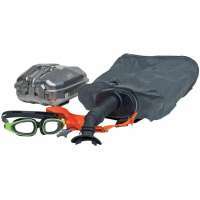 Whether you need breathing apparatus for emergency escape, self-contained breathing apparatus, masks, harnesses, cylinders, airlines, rebreathers, you will find what you need here. 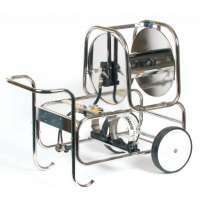 We stock a wide range of equipment by the top manufacturers in the industry, namely the world class and highly respected Drager and Scott Safety range. They are all made from reliable and sturdy materials, have a wide range of accessories available and have been manufactured to fit the needs of professionals in whatever field you work in, whether its rescue, firefighting, confined space entry, marine or petro chemical industrial applications. All of the equipment we stock meets and often exceeds modern European safety regulations and is used by professionals all over the world. We know that if you or your staff are working in hazardous environments you need the ultimate in reliability and ease of use when it comes to breathing equipment. We pride ourselves on being experts in the field and we offer a number of product training seminars and have a fully comprehensive servicing and inspection policy to make sure your breathing equipment is safe and ready to use at all times.